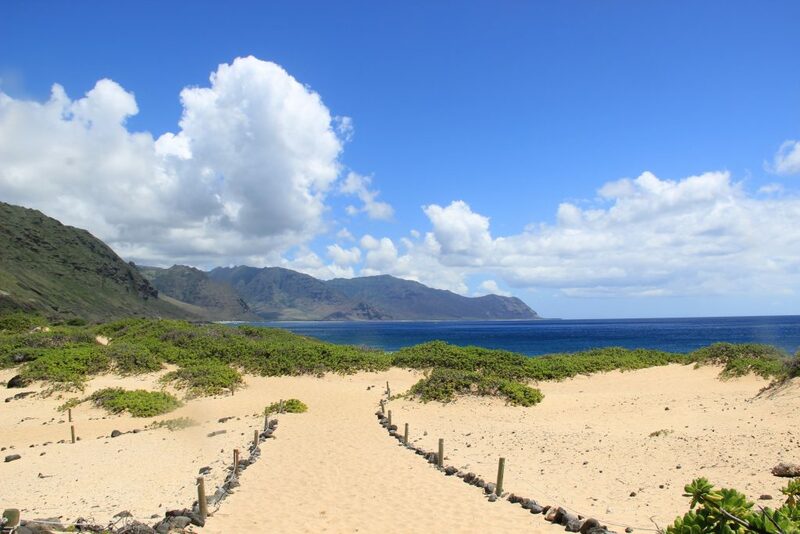 Over Labor Day weekend my husband and I had originally made plans to travel to Molokai. When those plans fell through we decided to spend the weekend exploring new parts of our own island. We have spent very little time on the west side of the island and decided no better time than now! In doing so we got to check off yet another item on our Hawaii Bucket List, the Kaena Point hike via the Waianae side. 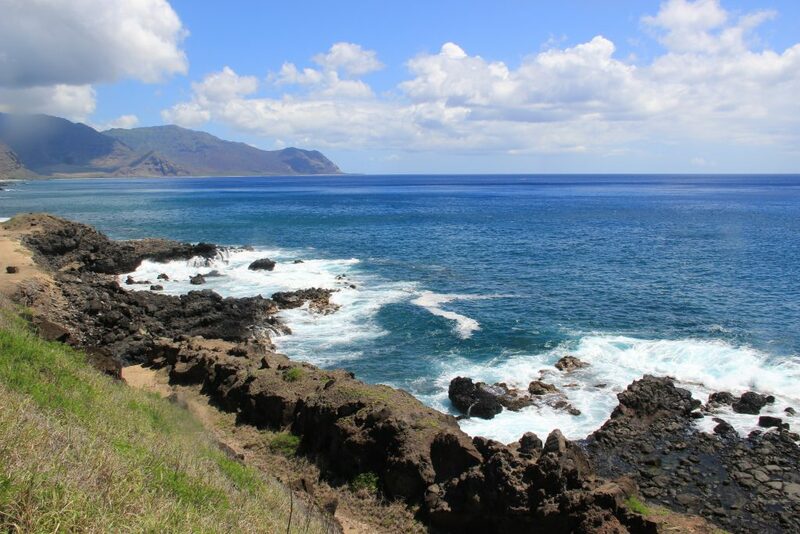 Kaena Point is the westernmost point of Oahu and can be accessed via a North Shore hike or a Waianae side hike. The point is a bird sanctuary and if you go during the right time of year you can see baby birds and nesting mama birds. It’s also not unusual to spot a sunbathing monk seal at the point. Part of the Kaena Point Trail from the Waianae Side. My husband and I have attempted the North Shore hike a few times, but this was our first time accessing the point from the Waianae side. Both trails offer great views and are close to great beaches, but I must say I absolutely prefer the Waianae hike. Looking back at Waianae from Kaena Point. 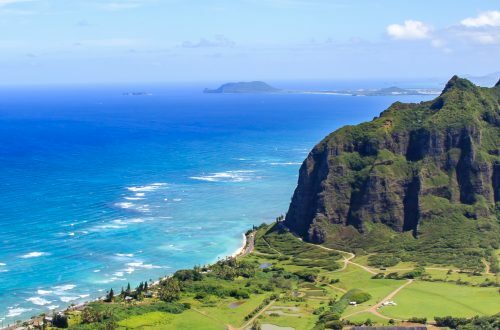 To start off with the parking is a bit easier on the Waianae side and the beach you start at is absolutely gorgeous and worth spending the day at on its own. It may have been the weather the day we did the hike, but this side also didn’t feel hot as the North Shore hike. What really makes this hike stand out, however, are all the amazing tide pools and mini beaches that call your name to explore as you hike. Both sides offer different areas to explore, but it seemed like every time we turned a corner on the Waianae hike we were faced with a new tide pool or other bodies of water just calling us out to explore. The surf was a little rough while we were out there, so we didn’t get to explore too much, but we did venture down to one set of pools and it was amazing. Thanks to the length of the hike and the many options along the hike, it’s easy to find a nice secluded area to rest and explore. 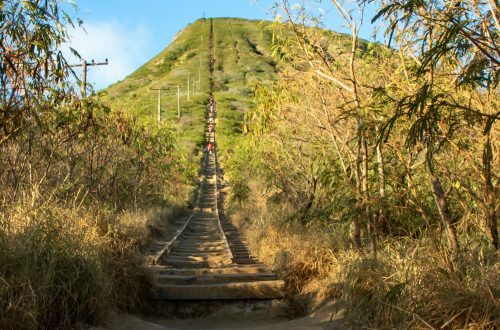 If you ever find yourself on the west side of Oahu and are looking for a fun afternoon hike, I highly recommend exploring this hike. 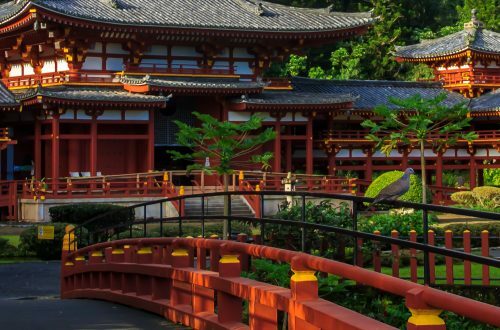 Even if you decide not to go all the way to the point, this hike offers plenty to see and explore. Be sure to bring lots of sunscreen and water! Coastal views from the Waianae Hike to Kaena Point. 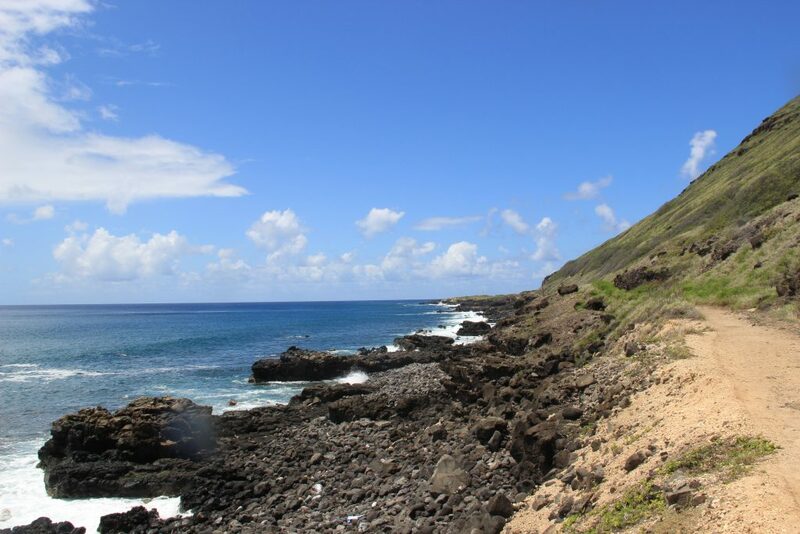 *Leaving the designated trail as well as swimming in tide pools and/or secluded beach areas can be dangerous. Please use caution as you explore. If you are not an experienced hiker and/or swimmer, please stay on the designated trail.